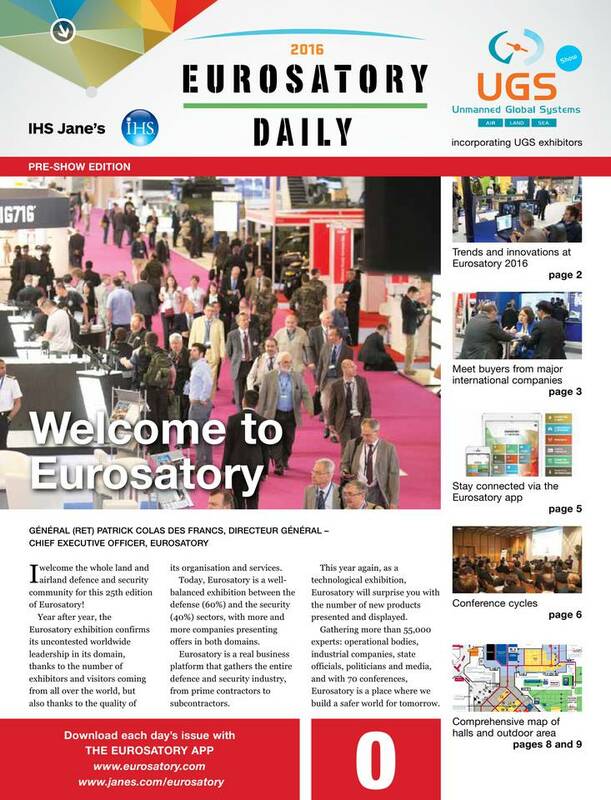 The Eurosatory Daily, the official show daily, presents every day exhibited products, key events and global subjects for all Defence and Security players. 5 issues, produced by IHS Jane's are distributed free of charge at the exhibition entrances. They will be available in digital version every morning at 6:00 from 13 to 17 June 2016, allowing responsive design on your device (PC, smartphone and tablet) for easier reading.